Or: We Deal in Lead, Friend! People go to comic-cons for many reasons. While I swore off alcohol at the age of six, I go for Bar-Con; That time after the show when the pros congregate at the bar. What was once a Manhattan centric business is now a cottage industry that spans the globe. Bar-Con is the new Bullpen, the place to go for meet and greets. So, I'm at Bar-Con, Oakland '95. Buddy and art dealer Tom Horvitz walks over accompanied by the incomparable Steve "the Dude" Rude. 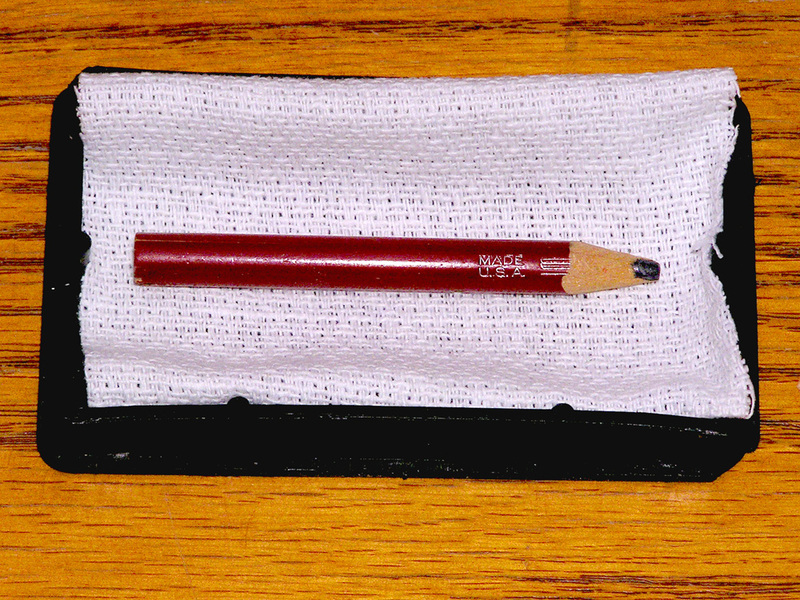 Tom holds out a small pencil stub and asks if I know what it is. I suggest it's probably just what it looks like, a pencil stub. The Dude admonishes me most sternly. "C'mon, Smitty! You're supposed to be an imaginative guy. Use your imagination!" I immediately respond in my best, "OK mister smarty pants," voice. "All right. That's the pencil Ditko used on Pg 5, issue 33 of the Amazing Spider-Man when Marvel and all of comics went nova and it's been downhill ever since!" Tom and the Dude stared wide-eyed at each other. Tom says it's the best answer they've had all night. Dude tells me I'm wrong but, on the right track; Try again. This time I stumble. "uh… it's the pencil Kirby used on… the… Galactus trilogy!" WARNING: The story gets a little sad for a moment. Tom had struck a deal with Roz Kirby, whose husband, Jack, had died the year before. I don't know what Tom offered but, what he asked for was any worthless flotsam in Jacks pencil drawer. In that, he found a number of old pencil nubs* which he was now passing out to those who, in his infinite wisdom, were worthy to be among the children of the King. Suddenly, the battered little stump of wood became a prize most rare. Smiles and thank you's as I loft my treasure high. Oh, look, Dude's got one, too. More smiles. Congrats! Welcome to the club! A Toast! To the King and all his children! As Bar-Cons go, that was a good one. Thanx, Jack. *Eagle "Chemi-Sealed" Diagraph 817 #2 for those with inquiring minds.